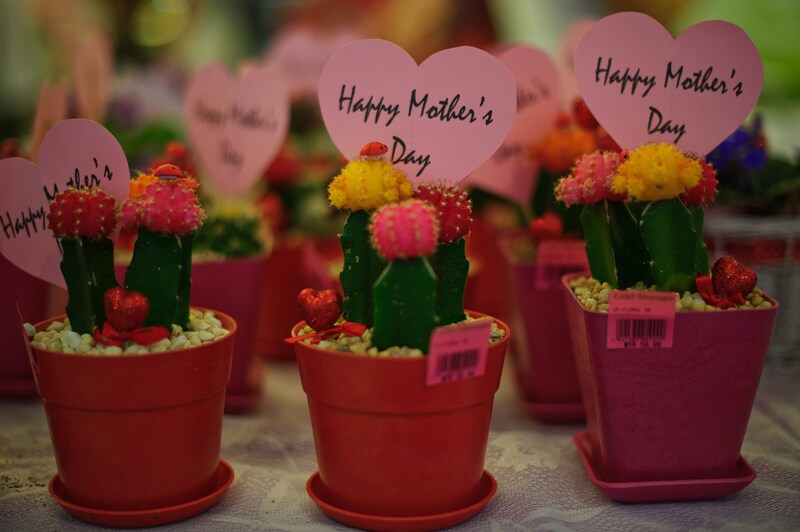 Despite the fact that Mother's Day has activist roots, it's become a pretty homogenized, bland holiday for the most part. The mother of young children has a day that generally looks like this: kids make mom gifts in school, then they make breakfast in bed, which mom will inevitably have to clean up, plus all the pans and dishes they used making her burned toast and eggs with no small amount of shells in them. If you're lucky, your baby daddy gives you flowers or jewelry or something. Generally, it's something you have picked out for yourself (or at least strongly hinted at). For mothers of adult children, you get brunch on the busiest day in the restaurant world, eating off a limited, prix fixe menu and drinking weak mimosas. Yippee. Never not a good idea. It's just not as fun to wear pleather with your kids, ya know? I choose bearded and bespectacled Jon Hamm. Though if he'd shaved that day I'd be fine with that, too. He is glorious in any of his iterations. So this Mother's Day, we want to hug you and accept your crafts, little ones. We may even want to have a meal with you. But then maybe let us roam free and in the wild with the other moms for a little while. I'll allow the women in the video below to explain in full. Thanks in advance for not judging me if I don't remember who you are when I'm blackout drunk!